A team at St. John’s Evangelical Lutheran Church in Glendale is piloting a new program to provide local children with a safe, open gym space. On the first Friday of every month, leaders from the church will open up the gym space in the adjoining school building to all neighborhood kids who want to come and play. The idea, Pastor Matthew Staneck says, was born after receiving answers from a year-long survey of the community, carried out by the church beginning in the fall of 2017. Many parents responded by saying they felt there were no safe places in the neighborhood for their children to be able to go play. 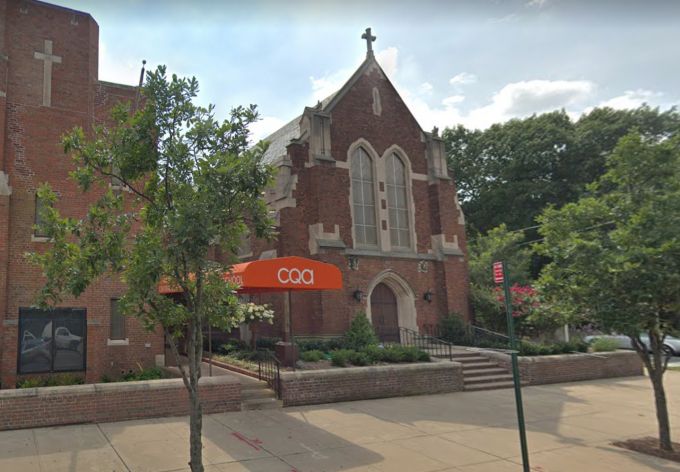 The church, located at 88-24 Myrtle Ave. in Glendale, shares property with the adjoining Queens Central Academy Charter School, where the gym is located. St. John’s held its first-ever “First Friday” on Feb. 1 and heard nothing but positive feedback from both kids and parents, Staneck said. Roughly a dozen children came out to the gym to shoot hoops, play volleyball, hula hoop and jump rope. The kids were able to play among themselves or join in on games organized by church staff. “When we had this vision, that’s exactly what it was for—neighborhood local kids to be able to come and really do whatever they wanted,” Staneck said. The program is currently being piloted through June, at which point the organizers will meet to decide whether there is a need to make the gym space accessible more frequently. What a great idea. I remember playing at my church’s gym as a child. To me, nowadays, a neighborhood church is the only place of peace and good. Support your local church and they will support you. Thats beautiful and thoughtful! Now if only all churches would do the same.